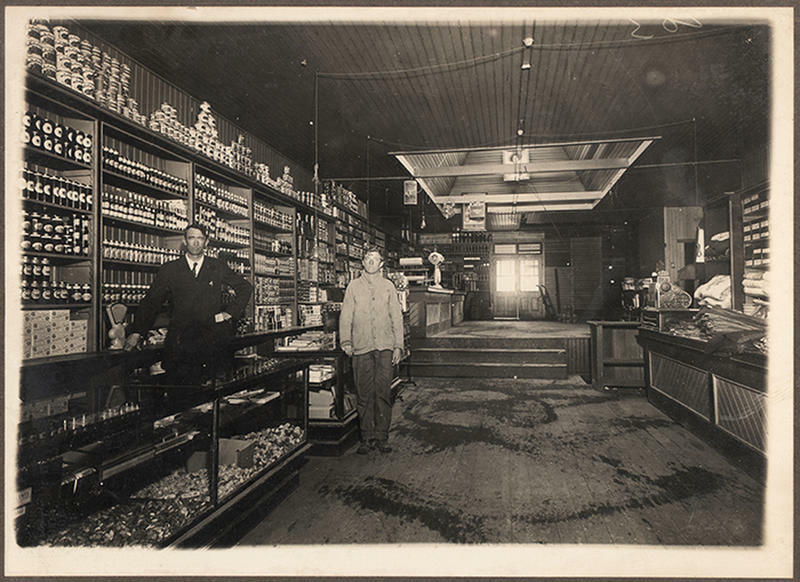 During the late 1800s and 1900s, before long commutes and traffics jams became the norm, people used their legs to get somewhere. If lucky enough, one can ride a horse-drawn carriage. 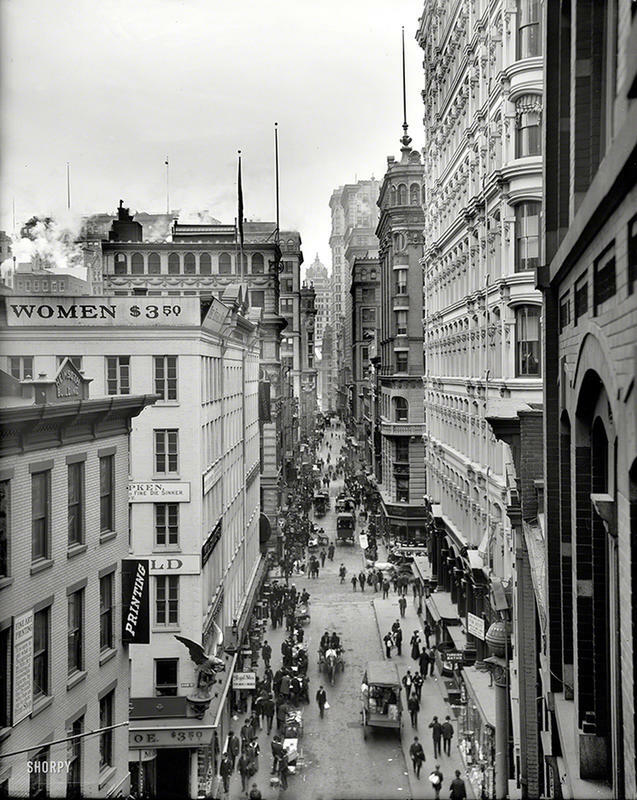 City streets back then were busy and full of life, but it was actual people who made the most traffic and noise, there were no cars in the streets yet. 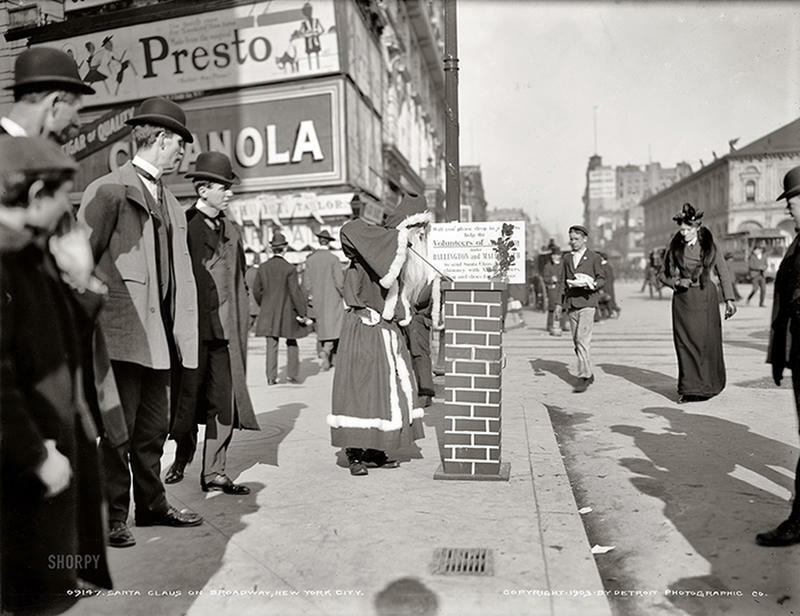 Rush hour of people on Nassau street, New York City, 1905. 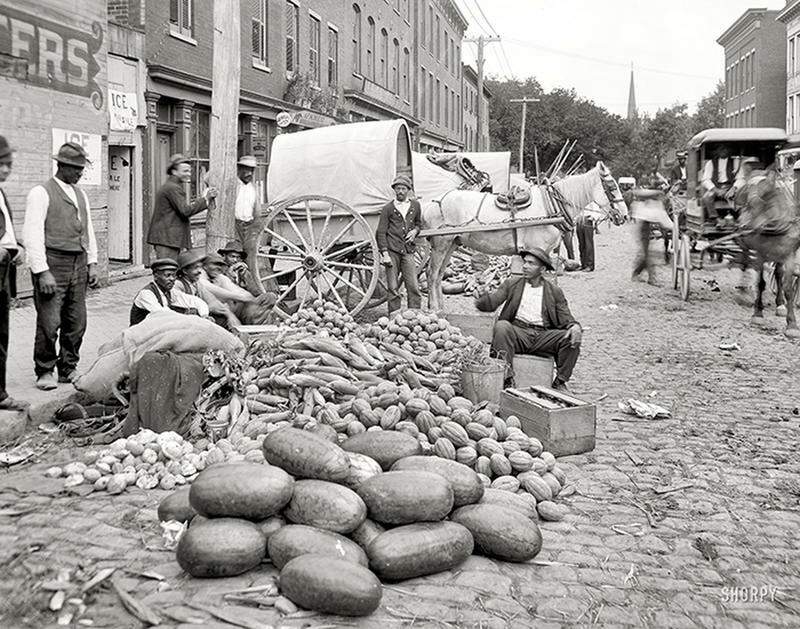 Selling produce right on the road in Richmond, Virginia, 1908. 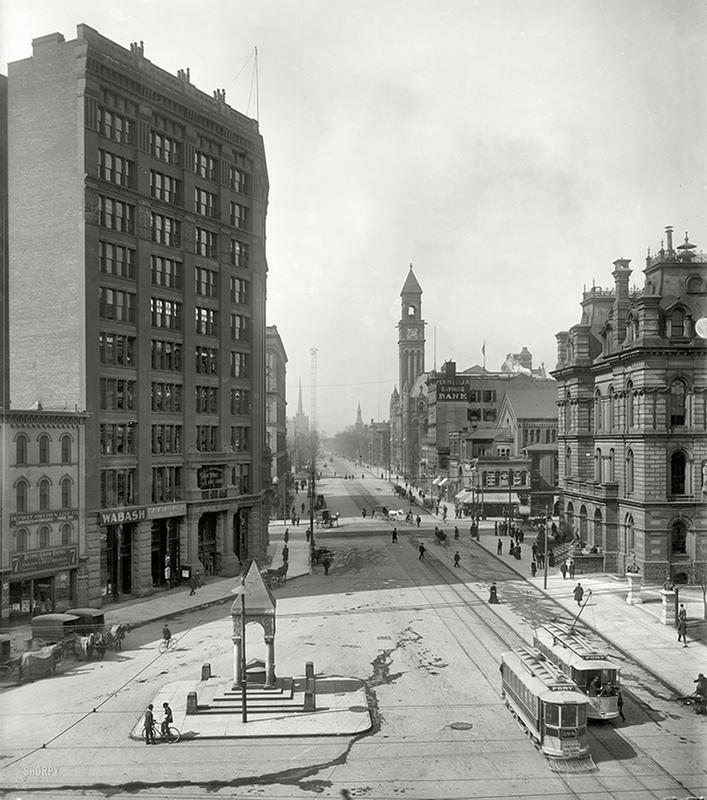 No cars yet in Buffalo, New York, 1900. 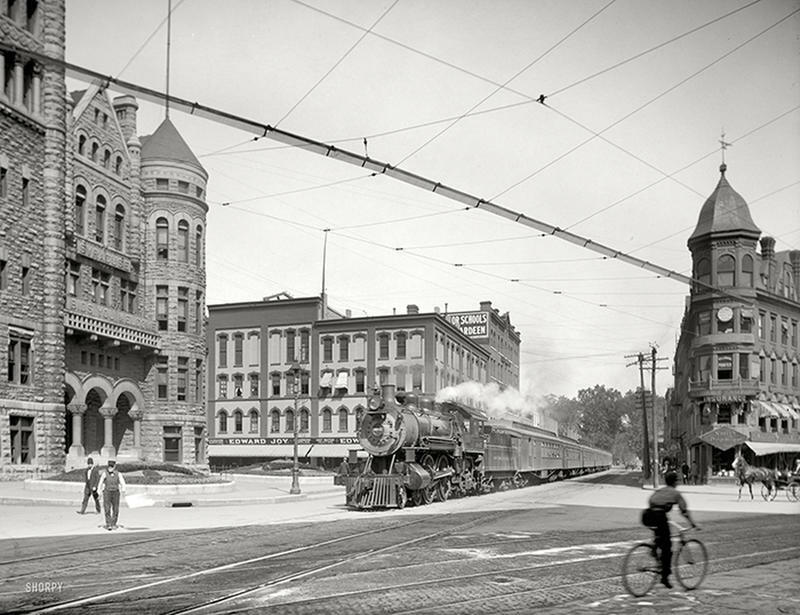 The Empire State Express running through Syracuse, 1905. 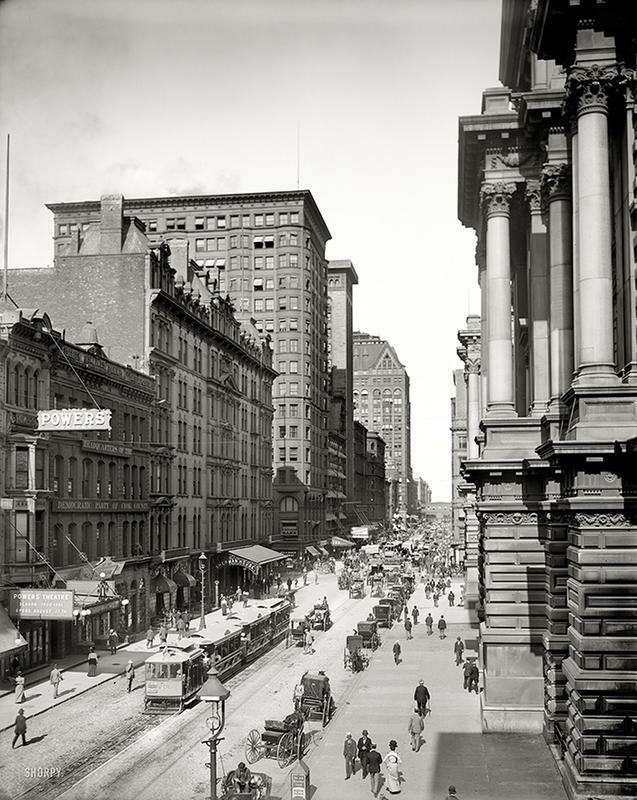 Horse-drawn carriages fill Dock Street, Philadelphia, 1908. 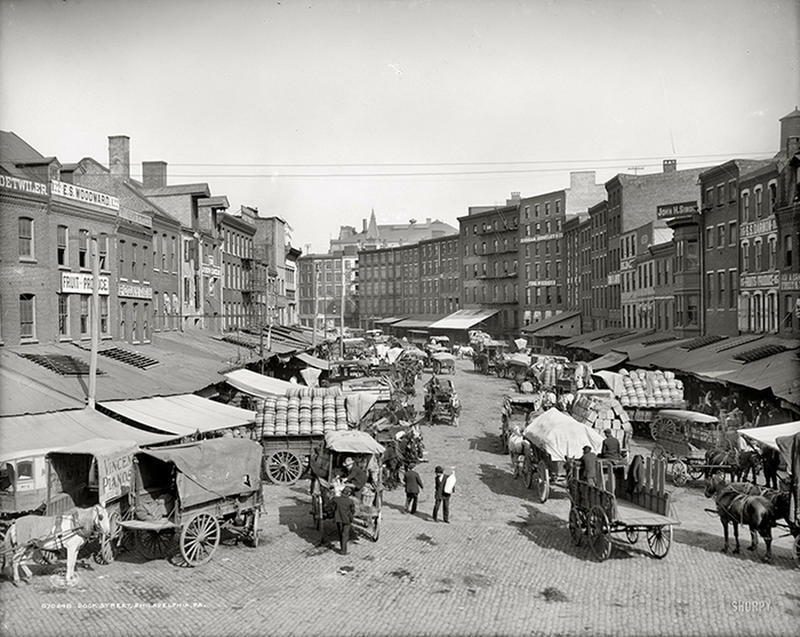 Mott Street congestion in New York City. 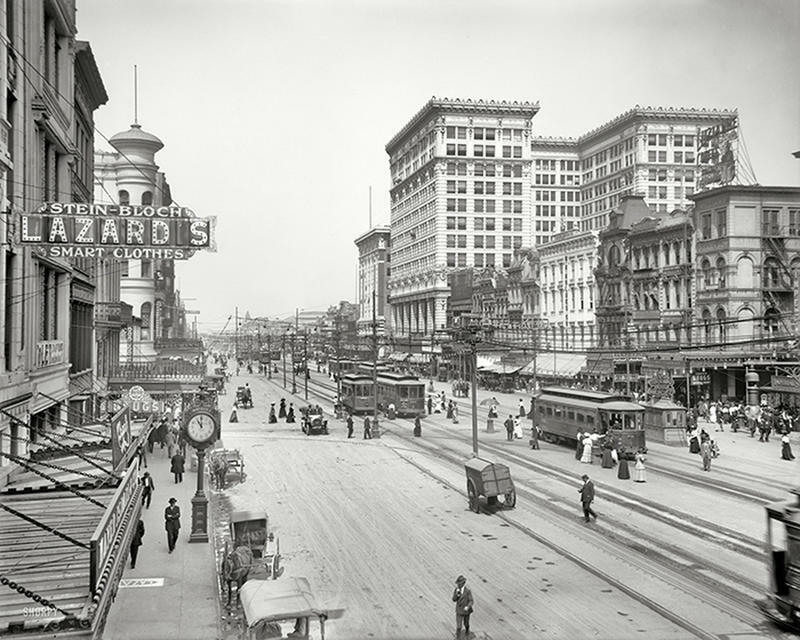 The famous track cars of Canal Street in New Orleans, 1910. 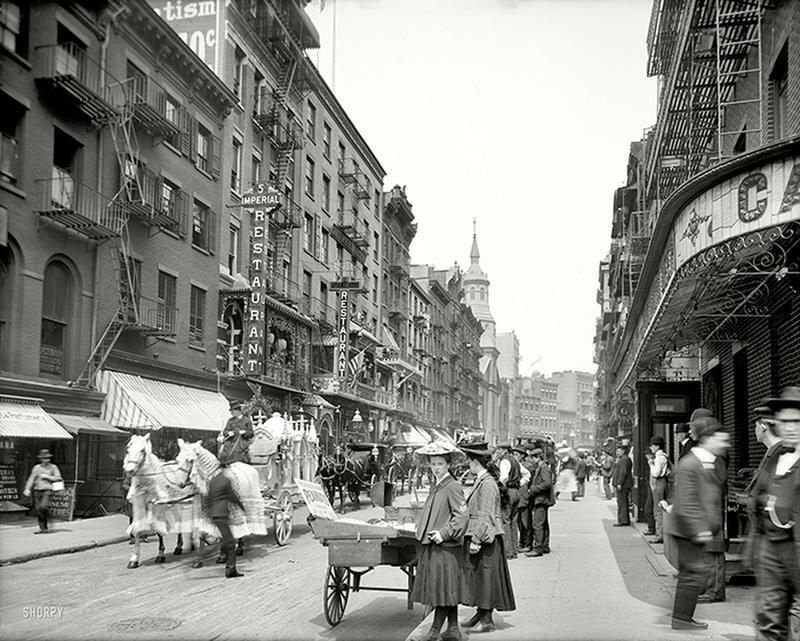 A much different Broadway of New York City, 1902. 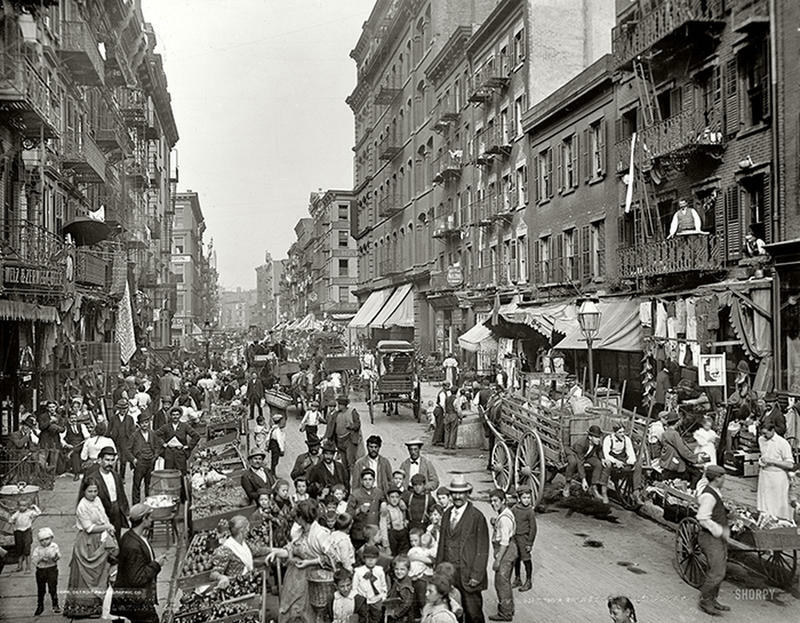 The hustle and bustle of Little Italy, New York, 1900. 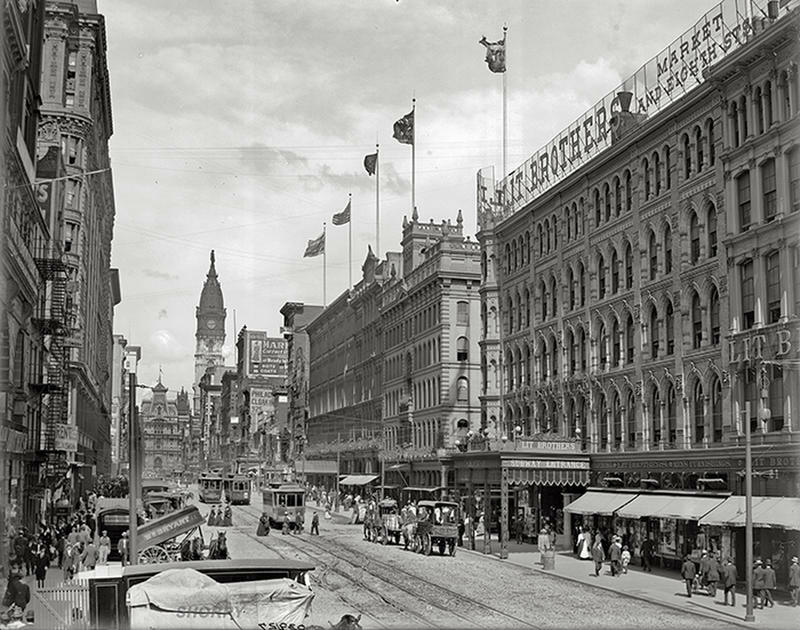 Track cars, carriages and pedestrians in Market Street, Philadelphia, 1905. 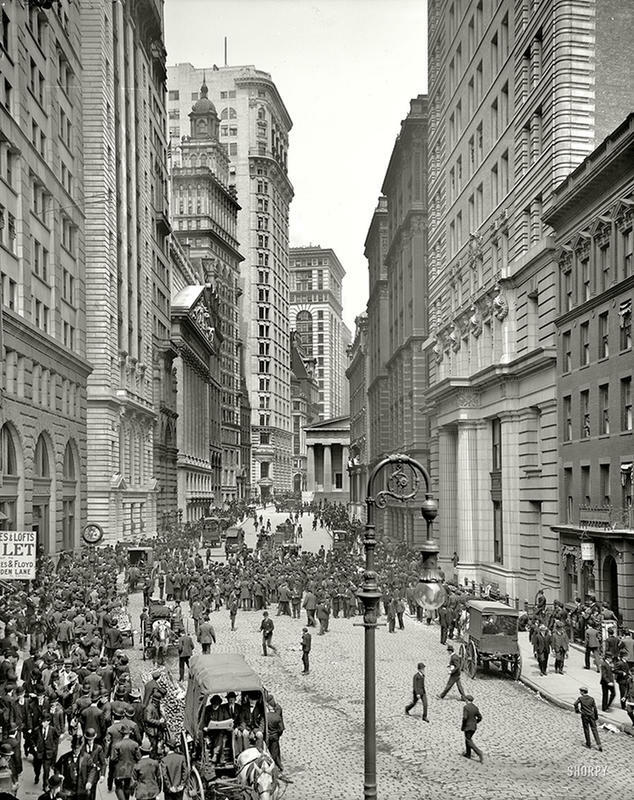 Heavy traffic of people on Broad street, New York City, 1905. 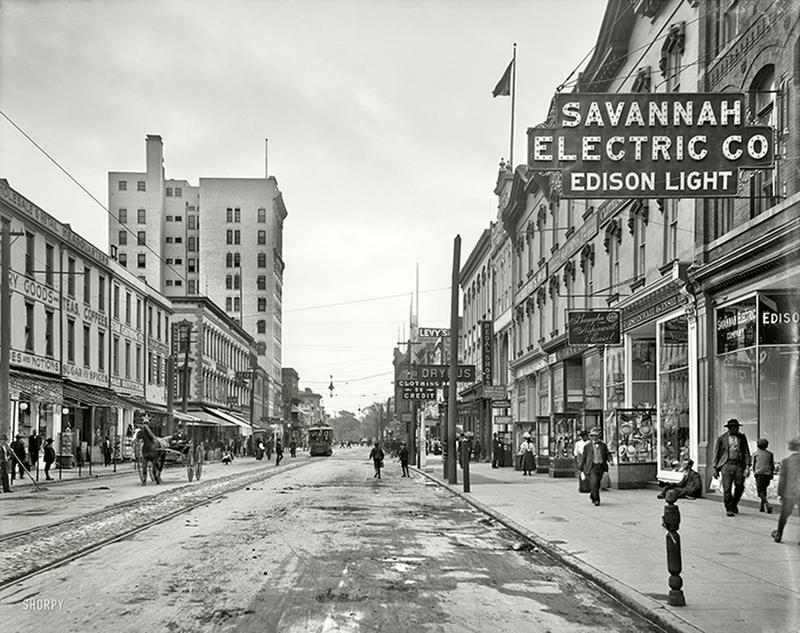 A wide street in Savannah, Georgia, 1905. 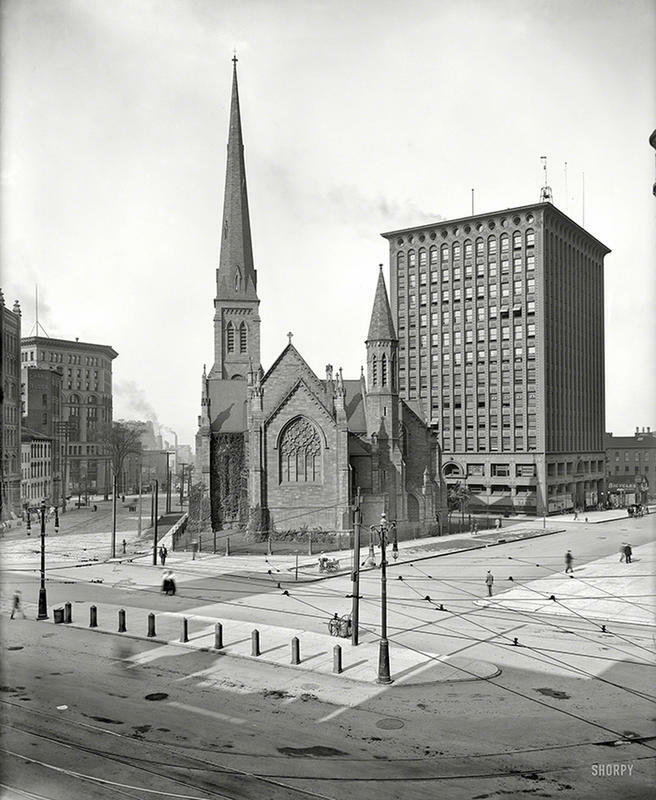 A panoramic view of Detroit, 1907.